The Victorian conservatory is a popular traditional style, characterised by period style finials & finishing. The Victorian conservatory is a popular, multi-faceted structure which has been inspired from late Victorian architecture. Its steeply pitched roof features fantastic finials and crestings – a popular decorative feature of the times. The modern UPVC Victorian conservatory has been designed to complement properties both young and old, however its period styling makes it particularly suited to traditional style homes. Victorian conservatories come in many variations with the most popular being the three-facet Victorian (featuring a bay front with three main windows) and a five-facet Victorian (with five main windows). The Victorian conservatory successfully captures the warmth and richness of its architectural past, making it a highly valued design. Boasting elegant finials and ornate finishing, this classic style will capture the eye of any beholder. Victorian conservatories can be adapted to suit any style of home – meaning it can enhance the look of both modern and old properties alike. Whether you are looking for a lounge, extra dining room or family area, this conservatory style will add significant value to your property. What are your options when it comes to fine-tuning your design? Let’s start by taking a look at the different Victorian conservatory designs. 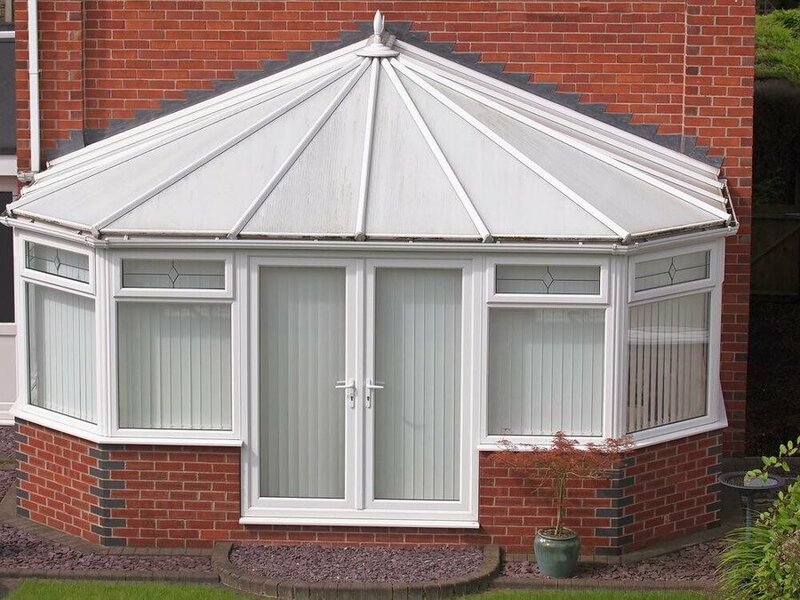 The Victorian conservatory comes in a variety of styles including: fully glazed, dwarf-wall and P-shape designs. A dwarf wall is a highly popular option as it allows room for furniture to sit nicely inside. Still allowing plenty of light and fresh air to enter your conservatory. Whatever your preferred style, whether you’re after a dwarf-walled conservatory or a fully glazed with floor to ceiling glass panels, your Victorian Conservatory can be made to meet your exact requirements. It is built in most cases to conform to either a 3- or 5-faceted design. How many sides you have is up to you – it comes down to a matter of personal taste. If you want a contemporary look, then a modern Victorian conservatory style will be your better choice. This look is generally characterised by an emphasis on cleaner, more geometric lines combined with simple frames. Rather than using a dwarf wall, you may decide to dispense with brick altogether – and use wall-to-ceiling glass at the front to let in as much light as possible. Bi-fold doors that open from the centre – and which stack to the sides in a neat concertina pattern – would nicely frame your garden and add an additional contemporary twist to your design. We would recommend looking at aluminium conservatory windows if you are less keen on going down the traditional route. That’s because aluminium is a more mouldable substance than UPVC – which means it can be used to create finer frames that’ll give your modern Victorian conservatory that all-important minimalist look. What is a Victorian dwarf wall conservatory? It is normally built no higher than 600mm from the ground and provides a base for your window frames to sit on. Typically, a dwarf wall will run around the perimeter of your conservatory – but you could use glass interchangeably for effect and to let in more light. The traditional Victorian conservatory always utilises a dwarf wall design – which saves on building costs, as brick is less expensive to buy than glass. Once you’ve decided upon the shape of your Victorian conservatory, it’s time to think about other important details: like which doors to choose. A traditional Victorian conservatory will normally feature ornately-designed French doors. These let in less light than modern bi-fold doors – which are growing in popularity (we’ll discuss these shortly) – because of their smaller dimensions; but this doesn’t have to be an issue. The P-shaped Victorian conservatory can be be built in either a traditional or modern guise – hence the reason it sits in a category all of its own. It is best described as a hybrid of the Victorian and Lean-to conservatory styles and utilises the merits of both to great effect. Because the P-shaped conservatory extends in two different directions, it can be neatly demarcated into two different living areas. The longest part of the projection could be utilised as a dining area, for example – and the remaining section could be used a play area for the children (or even an office – the choice is yours). When considering different Victorian conservatory design ideas, think carefully about what material you want to use for your doors and windows. UPVC, Timber Frame or Aluminium? There is a choice of materials for your new Victorian conservatory. UPVC is by far the cheapest – but will it help you achieve the look and feel that you want to achieve for your Victorian conservatory? Aluminium will give you a super sleek look, yet timber will give you a classic aesthetic. UPVC is an extremely resilient material that will last. It’s also extremely easy to keep clean. This means that you won’t have to repaint the frames again later – hence it requires almost zero maintenance. From an energy-efficiency perspective, UPVC is also a good choice, as it provides excellent U-values (this is a scale that measures how well a material insulates – the lower the score the better. You can find out more by visiting the British Fenestration Rating Council’s website. The cost of UPVC casement windows will be much lower than with aluminium or timber framed ones. Expect to part with between £1400-£1700 for 4 windows. Aluminium is even stronger than UPVC, so it will last longer. It’s also a lot more expensive. But if you are thinking of buying a Victorian conservatory with French Patio doors, aluminium might be the better choice. That’s because it is a more malleable substance, meaning it can be moulded to form slender frames. This in turn will allow more light in – which will help re-enforce the idea of space. As a guide, expect to pay between £2500-£2900 for 4 aluminium casement windows – but this price will vary depending on the conservatory installer you use. Wood is excellent at retaining heat – but it is also a lot more expensive than UPVC. This potential negative if offset by the fact that wooden window frames will make your home more energy efficient – thereby saving you money in the longer-term. They take a lot more effort to maintain than aluminium or UPVC; and, if not looked after, can rot and/or warp. Timber framed casement windows are less expensive than aluminum but pricier than UPVC. You should be prepared to pay circa £1200-£1400 for good ones. If you want advice on building regulations for conservatories, or want to know if you need planning permission, you should visit the government’s online Planning Portal. Here you will be able to find your Local Planning Authority, submit an application and (where applicable) buy planning maps. Having gathered together some Victorian conservatory ideas, you now want to know if you can put them into practice; but looking into building regulations can be long and complicated – so where do you start? Since April 2002, new regulations were brought into force to measure things like thermal efficiency and ventilation. Your Victorian conservatory must be adequately ventilated if it is to comply with current building regulations. To better understand what is required, you’ll need to think carefully about the size of your conservatory. If is is relatively small, then a trickle vent – which is an opening that’s drilled in to your window and opened/closed using a sliding mechanism – may be sufficient. If your Victorian conservatory design is for a utility room (like a kitchen) then an increased level of ventilation will be required. This means you’ll probably need to think about installing a fan and some extra windows. Your Victorian conservatory must be thermally efficient if it is to retain warmth. This shouldn’t be a problem if you buy thermally efficient glass that prevents heat seepage. You should avoid buying a polycarbonate roof at all costs; that’s because it’s U-value – which calculates how effective a given material is at insulating – is poor in comparison to glass. If your Victorian conservatory produces a low U-value overall, then it may not be compliant with current building regulations and you could have to make changes to your design. For further advice about conservatory building regulations requirements, speak to your chosen installer. When you request a quote through our website, we’ll contact you with guideline prices – at which point we’ll ask if you want details of trustworthy companies in your local area. Until recently, the terms ‘conservatory’ and ‘extension’ have been treated separately. The former was viewed as being separate from the main section of the property by way of a lockable door – whereas the latter indicated a building packed with such necessary accoutrements as plumbing and heating. These definitions are becoming increasingly blurred as clever installers find new and exciting ways to blend the home and conservatory spaces together. From underfloor heating to conservatory roof vents and electrics, there are many interior features which can be added to your Victorian conservatory. Today’s modern conservatory extension is all about liveable, all round spaces. A conservatory should be designed to around your home lifestyle, giving you years of enjoyment. The interior is just as important as the exterior when it comes to finalising your Victorian conservatory design. Underfloor heating for conservatories is becoming increasingly popular these days – as it’s a great way to keep the structure warm throughout the year. If you want to build a modern Victorian conservatory, it’s an especially good choice; the hidden heating will help to create a minimalist look that’ll be stylistically consistent with your aims. Your chosen installer will be able to calculate how much heat is needed to keep your conservatory at a comfortable temperature. 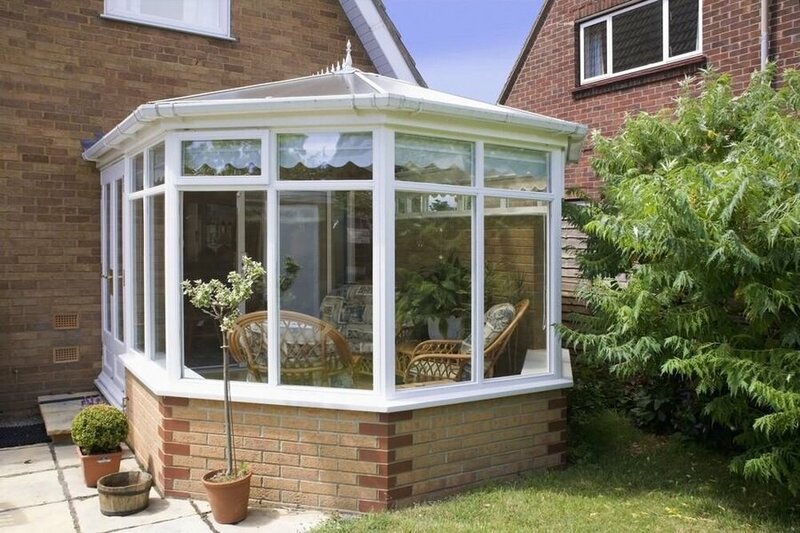 Inevitably, your Victorian conservatory will fill with heat from time-to-time – especially if it is connected by way of an open-plan design to your kitchen. When considering different conservatory extension ideas, you may want to look in to adding controlled roof vents.that are thermostatically controlled to release excess heat back in to the stratosphere on balmy summer days. Have you thought about turning your Victorian conservatory in to an open-plan living room? By using floor-to-ceiling glass – and combining it with light-coloured furnishings – you could create a bright open space to relax in on those long summer evenings. Underfloor heating for conservatories – which we suggested earlier – could also be used to make this space habitable throughout the year. 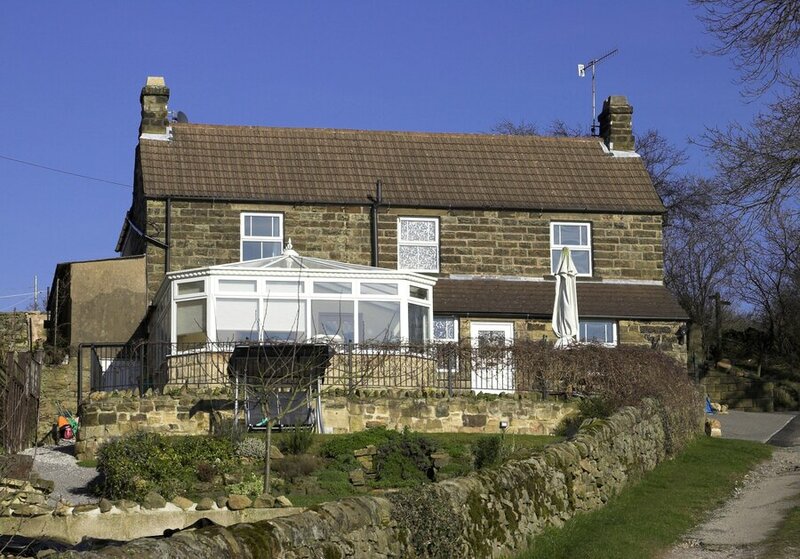 As a guide, you could pay anywhere between £6000 and £20000 for a conservatory extension. A full-scale extension, on the other hand, could see you parting with anything up to £30000 – which is a huge difference. The simple reason for this is that extensions are charged per square metre of space. Another reason to investigate building a Victorian conservatory extension, is that you’ll have less trouble obtaining planning permission from your Local Planning Authority. Although there are some exemptions, conservatories are in most cases viewed as permissible developments. Have a look at the government’s online planning portal for more information, or speak to your installer. Prices depend upon a variety of factors such as the width, projection, colour, roof type, building works amongst others. 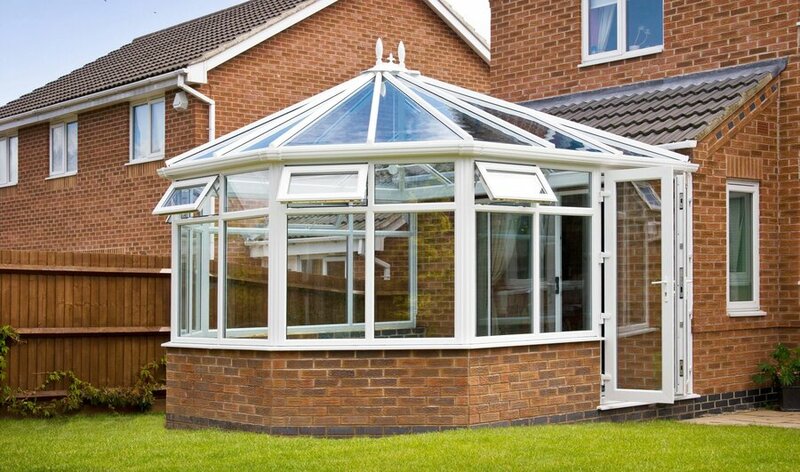 A conservatory is made predominantly from glass. An orangery looks like an extension – as it is made mostly from brick that ties in with the style of your property. There are, however, lots of different options for orangeries. You can use less brick to create a striking glass front to the structure that lets in lots of light, which, when combined with a bi-folding door, will give your orangery a nice open feel. Contemporary orangeries can look very striking – so, rather than going for a more traditional style, speak to your installer about the different design options available. Can I build my own conservatory? You can buy DIY or modular conservatories online for a fraction of the price of a fitted conservatory. But price shouldn’t be your sole priority. Building a structure like this takes a great deal of skill and it can be expensive if things go wrong. You’ll also need to handle the planning permission side of things yourself and make sure that your conservatory fully complies with building regulations. What the best type of glass for a conservatory roof? Thermally efficient glass will help ensure that your conservatory retains heat. It uses a gas called Argon to prevent warm air from escaping – therein making your structure more energy efficient and less expensive to run. A tiled roof is even more effective at insulating a conservatory and provides superior soundproofing that’ll keep the noise of rain and traffic at bay, but is more expensive. If you have a polycarbonate and/or older roof that has deteriorated, you will be able to get planning permission from your local authority to replace it with a tiled roof. How do I find a conservatory fitter? We can put you directly in touch with an accredited conservatory fitter. All you have to do is request a quote – we’ll then call you to discuss the matter further. For the purposes of your research in the meantime, check whether they are registered with an ombudsman like the Double Glazing and Conservatory Ombudsman Scheme (DGCOS) – and make sure they are fully insured and sell products covered by 10 year manufacturer guarantees. You should also look at online reviews to check the installer local reputation. How big can a conservatory be? A conservatory should occupy no more than half the space of land surrounding your original property. When making your calculations, you should take care to include any outbuildings (such as sheds) – as they will count toward your balance. Also make sure that you review a recent plan of your property. If you aren’t the original owner, the previous tenants may have made subtle changes to the structure that will affect your ability to get planning permission.